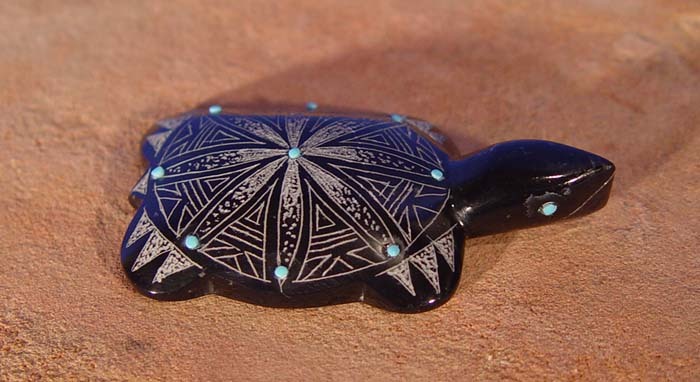 Zuni turtle fetishes are thought to represent the values of Mother Earth. 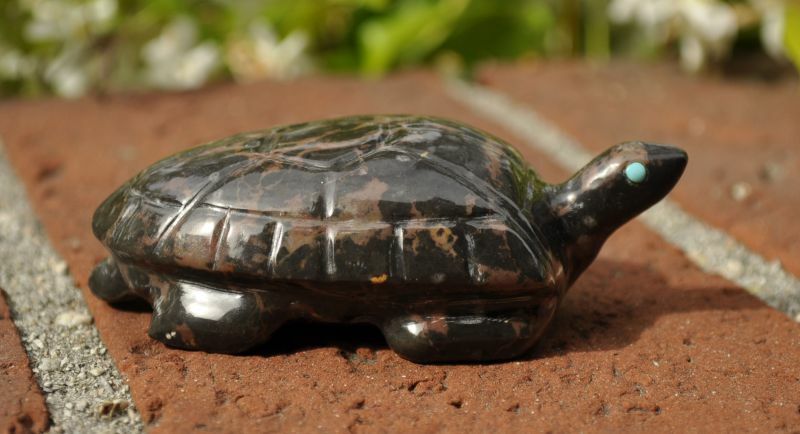 They symbolize protection, longevity and fertility, bringing the power of each to their owners and carvers. 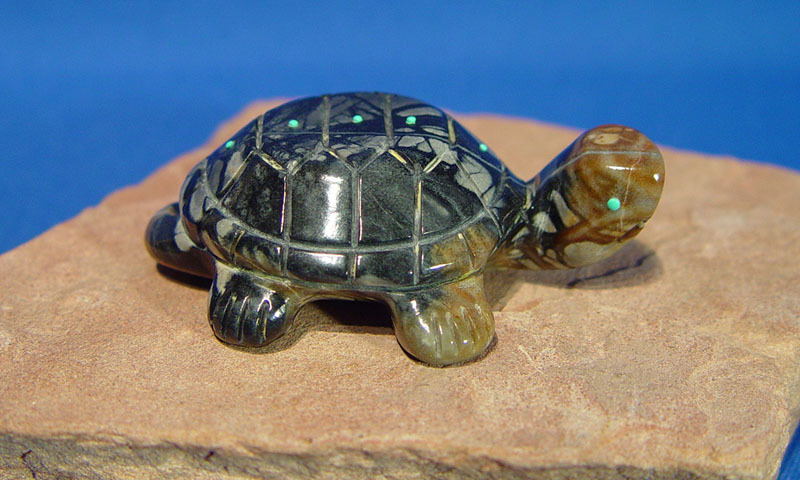 Turtle fetishes are not traditional to Zuni Pueblo, however they are frequently carved. 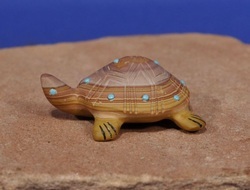 We carry a great selection of Zuni turtle fetish carvings. Available fetishes can be viewed and ordered via our Online Catalog here.